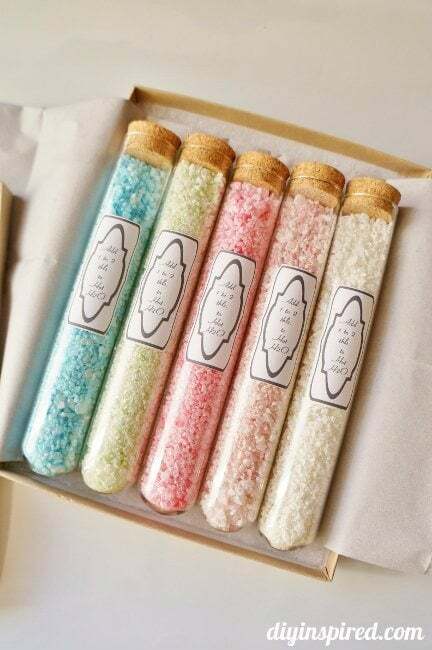 How to Make Homemade Bath Salts – Serendipity <3 ! Here is a photo of our dollar bin challenge items. I love these! I love them so much that I bought five. 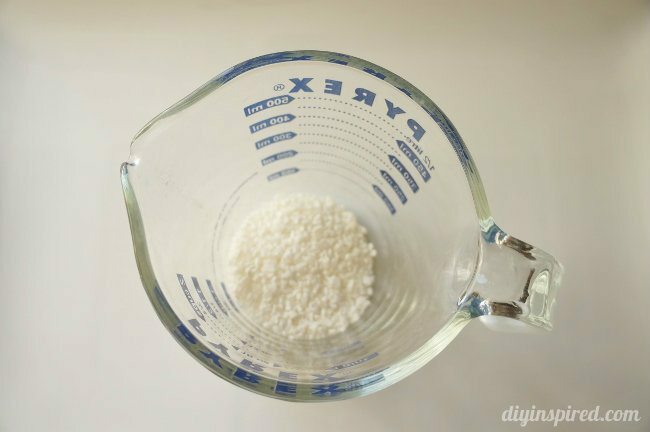 Depending on your container, the ratio for the recipe is 2:1 coarse sea salt to Epsom salt. 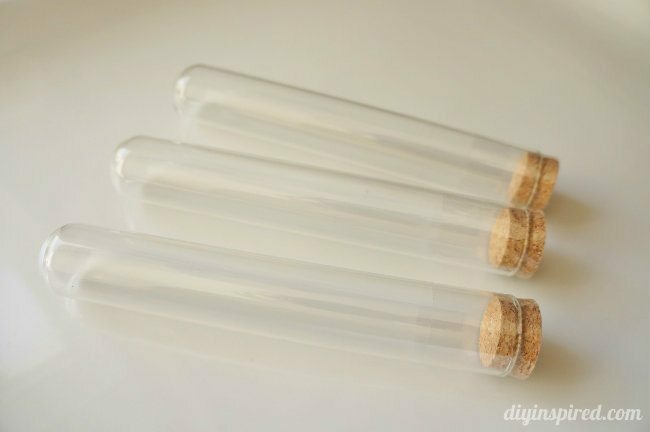 These particular test tubes hold about a quarter cup, so I measured accordingly. 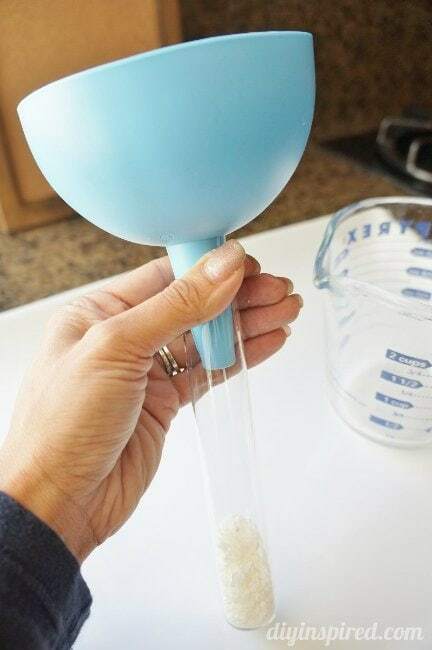 Mix the two ingredients thoroughly. 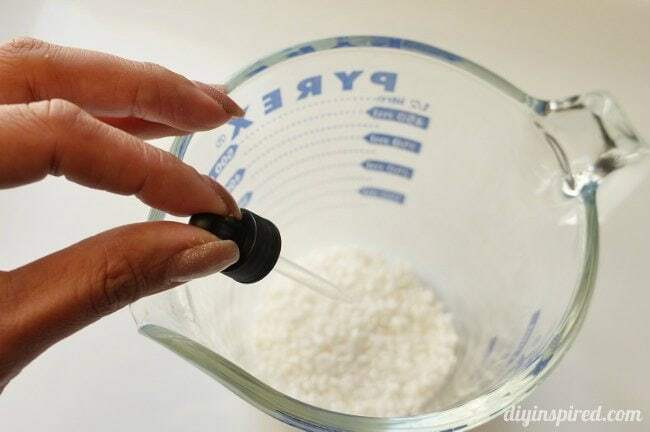 Next, add a few drops of the essential oil of your choice and mix. 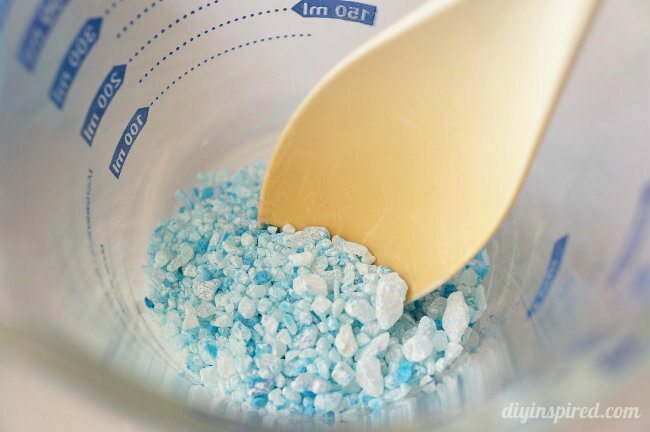 Lastly, if you want to add color, add two-three drops of food coloring and mix thoroughly. I played around with the colors. The fewer the drops, the lighter the color. 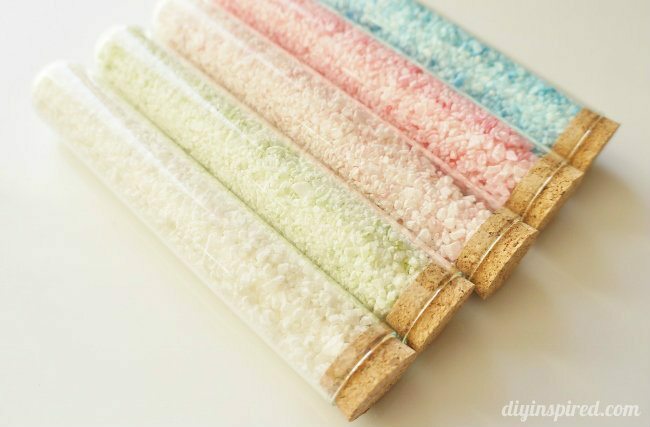 Next, I used a funnel to pour the bath salts into the test tubes. 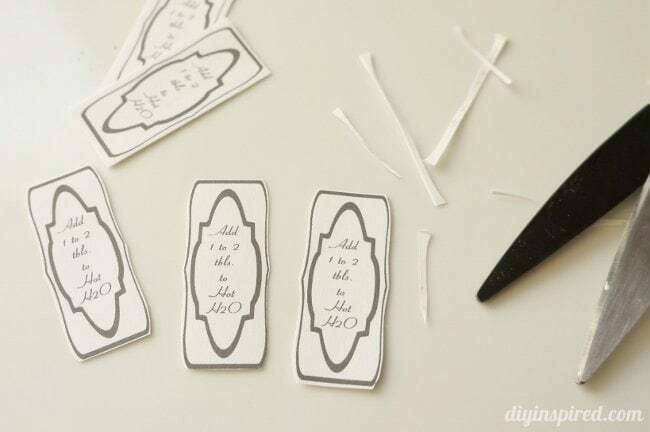 These labels I made were simple and done on my computer on iPiccy,com (it’s FREE and easy!). 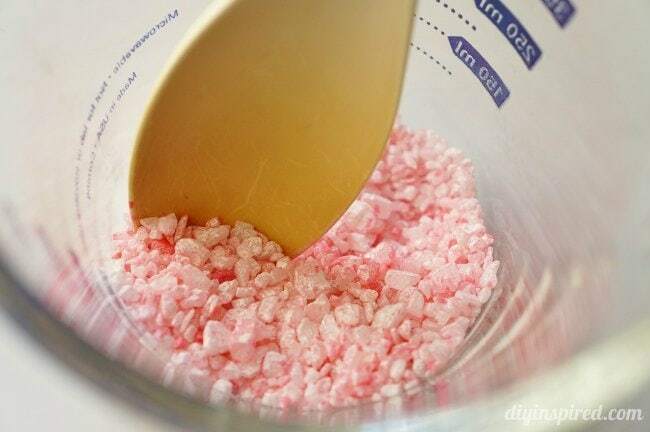 They are for the tub with directions that say “add 1-2 tablespoons to hot H2O,” which I printed on sticky paper. I added my labels and placed them in a gift box.